“Goddess on Earth,” photographs by Lisa Levart, LUSH Press, N.Y. 160 pp. $75. Available at goddessonearth.com. Three part-time Vineyarders are included in a new book called “Goddess on Earth,” a beautiful coffee table book that features iconic as well as everyday women, each portraying her favorite goddess from the legends of Greece and Rome, Celtic and Native American tradition, ancient Egypt and China, and a variety of others. Poet and human rights activist Rose Styron of Vineyard Haven and New York, along with her daughter, Paola Styron, and Jan Hilliard of Boston and Oak Bluffs join the ranks of Oscar-winning actress Olympia Dukakis, best-selling author Isabel Allende, and a host of other strong women, celebrating with words and pictures the goddesses whose strengths have inspired them. The book, subtitled “Portraits of the Divine Feminine,” is the culmination of an eight-year project by photographer Lisa Levart, a former dancer who inherited a passion – and a talent – for photography from her father. “I grew up with a camera in my hands,” Ms. Levart said. “As I was transitioning out of dance, I was photographing dancers. Ms. Levart starting asking women whom she met and who impressed her in some way to pose as a chosen goddess and allowed them to select a location and wardrobe. Eventually Ms. Levart started reaching out to women she admired, and she was able to photograph a handful of actresses – Tony Award winner Shirley Knight, LisaGay Hamilton, and Karen Allen, as well as Ms. Dukakis – authors Allende and Madhur Jaffrey, and other high-profile women in the activism and spiritual arenas. Also among the 70-plus goddesses in the book are a number of women involved in healing arts and education. There are also young girls, a hip-hop artist, and a maintenance woman, along with other extraordinary women leading ordinary lives. Both Ms. Hilliard and the Styrons are in the Mothers section. Ms. Hilliard portrays Hathor, the ancient Egyptian goddess of beauty and sexuality. 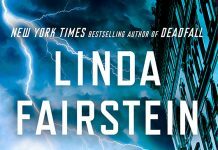 Ms. Hilliard is an interior decorator who met Ms. Levart while she was living in New York. The former model and grandmother of 10 was flattered when Ms. Levart asked her to pose. Photographed at the New York Botanical Garden in the Bronx, Ms. Hilliard, with her mass of grey braids, bedecked in layers of ethnic jewelry, appears strong and beautiful. The photo locations range from Rockland County, N.Y., to California, Pennsylvania, and Glastonbury, England, where Ms. Levart met a number of her subjects at a women’s conference. After a photo shoot with a woman involved with aid work in Malawi, Africa, Ms. Levart travelled there with her subject and photographed local women for her book. Rose and Paola (Polly) Styron were photographed at Lucy Vincent Beach in Chilmark. Ms. Levart met Rose through her daughter Susanna Styron, a friend. The mother and daughter posed as Demeter, the mother goddess of harvest, and Persephone, daughter of Demeter and maiden of spring. According to Greek mythology, Persephone was abducted by Hades and taken to be his bride in the underworld. Mourning the loss of her daughter, Demeter neglected her duties, leading to winter conditions. 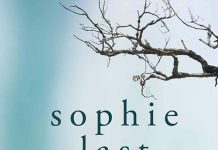 Eventually Persephone was returned to her mother and nature was resurrected but the daughter was forced to spend four months of each year with Hades. The story accounts for the seasons. Appropriately, a poem by Rose, included with the picture, speaks about Polly’s visits each year to the Vineyard. “A mother’s role: awaiting Spring, Polly’s return,” concludes the poem. In the picture, Polly appears to be emerging from the underground through a cleft in the beach’s cliffs with Rose looking on. Also included in the book is frequent Vineyard visitor and comedian Reno, who has performed here a number of times. Ms. Levart’s photography has appeared in Architectural Digest, New York Magazine, Oprah Magazine, Time Magazine, The New York Times, and The Washington Post as well as in a number of books and has been featured in exhibitions worldwide. 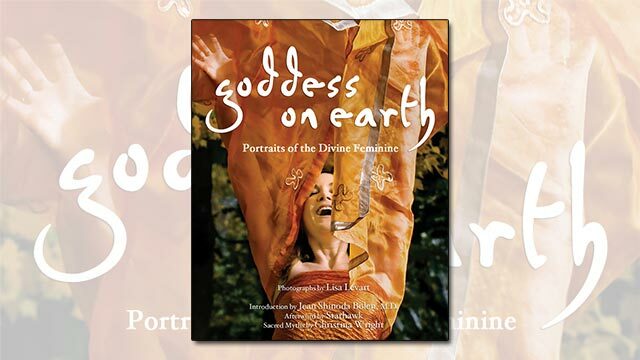 “Goddess on Earth” is Ms. Levart’s first book and currently she is doing a book tour and overseeing public installations of large banners of some of the images from the book. The series of 8- by 10-foot banners have been on display at a school, a community center, and a mall, among other places, and they will be featured at a few women’s conferences this year. Ms. Levart would welcome an opportunity to bring the installation to the Vineyard. Right now, Ms. Levart is focused on the project. “I’m very much in the process of raising this child,” she said. 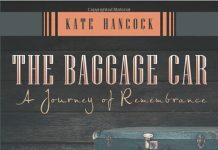 “She was birthed and now I’m raising her.” This is an apt metaphor for a woman who, in the forward to the book, notes that in the beginning of the project she felt connected with the mother goddess Demeter and her depression.